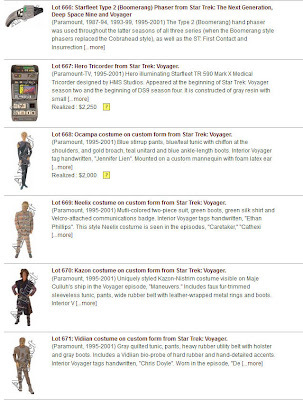 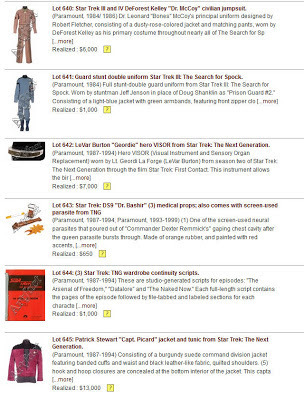 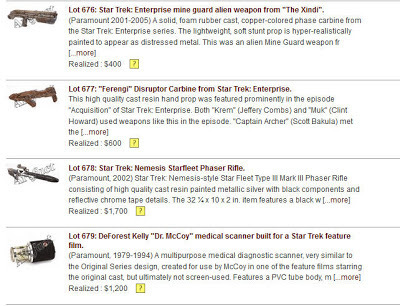 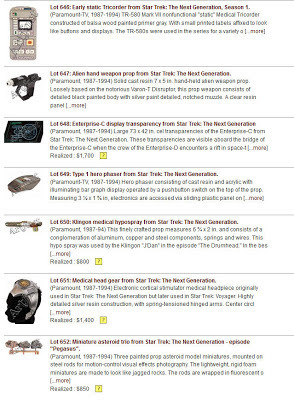 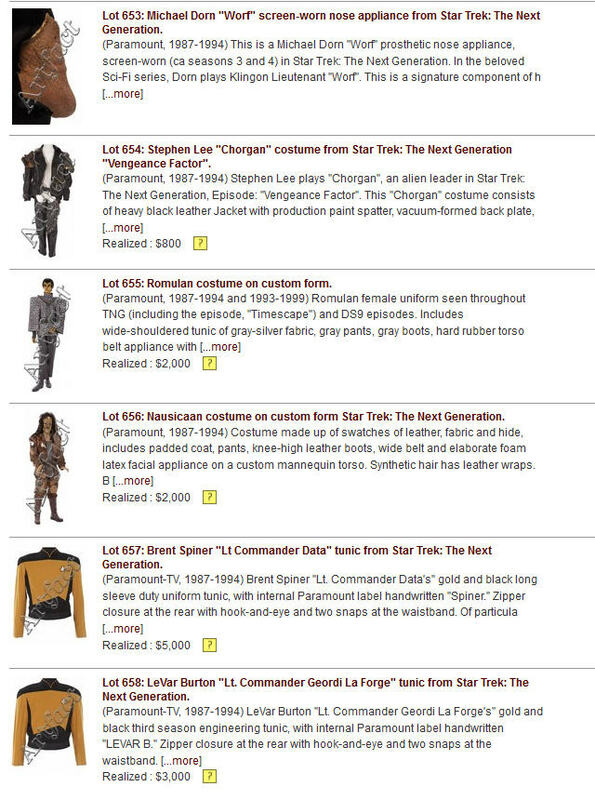 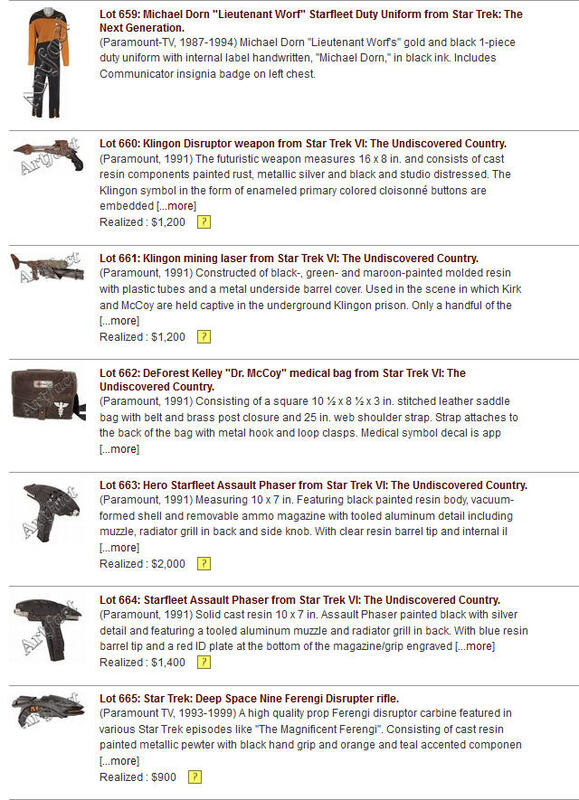 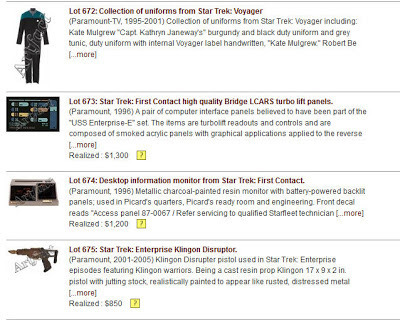 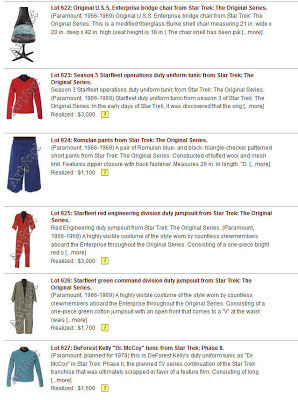 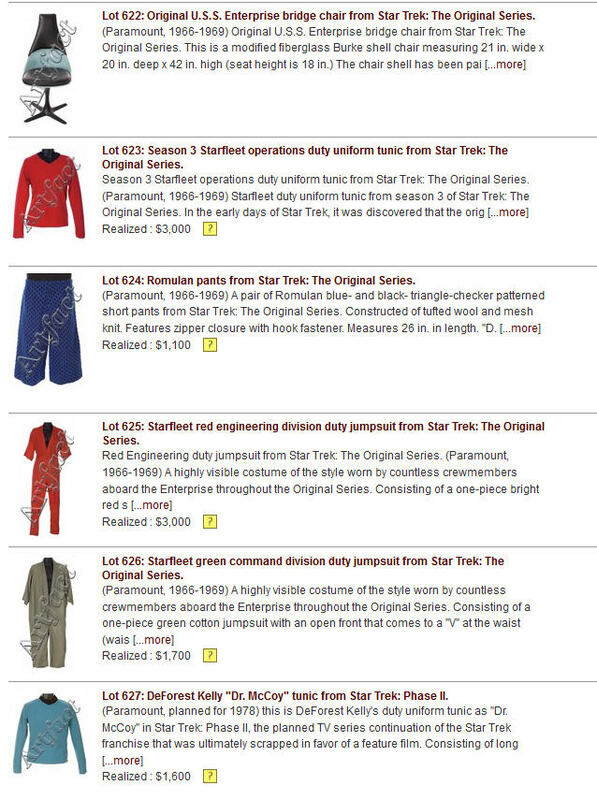 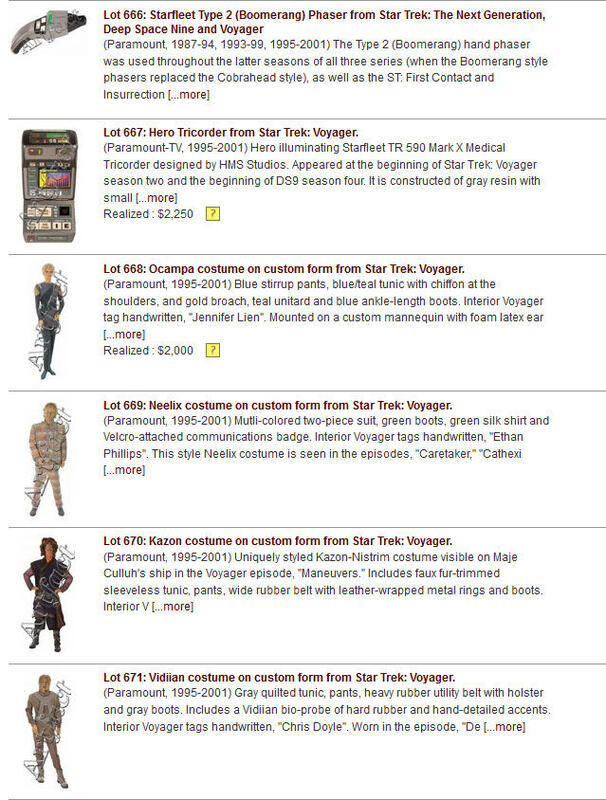 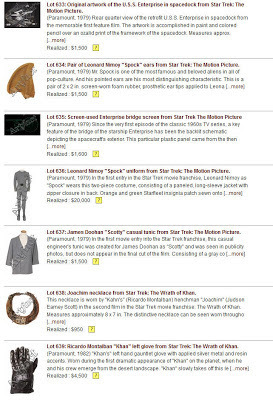 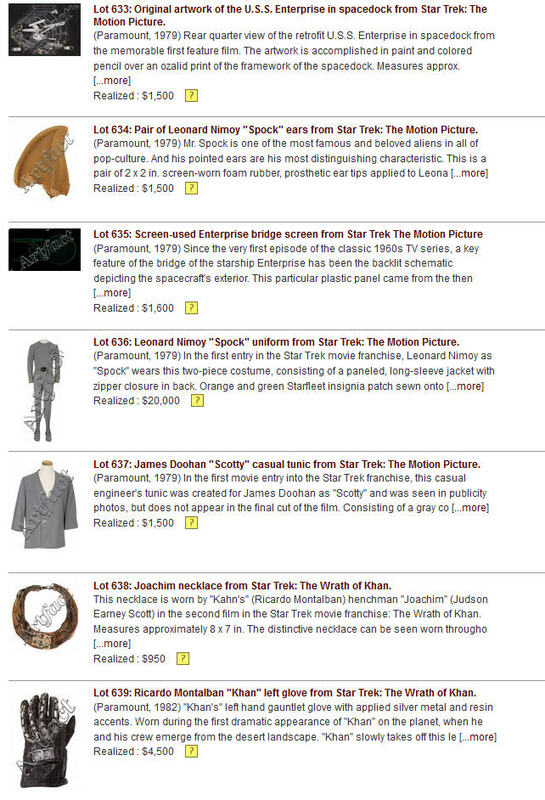 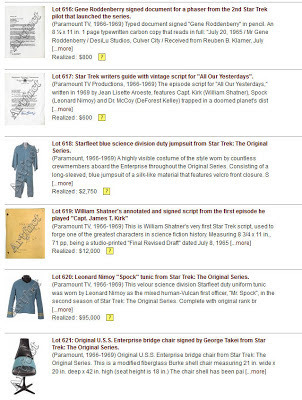 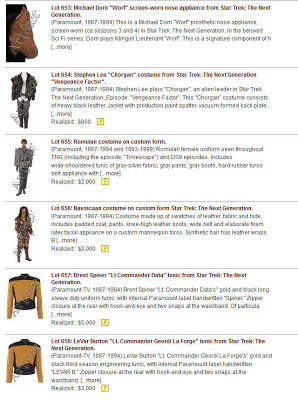 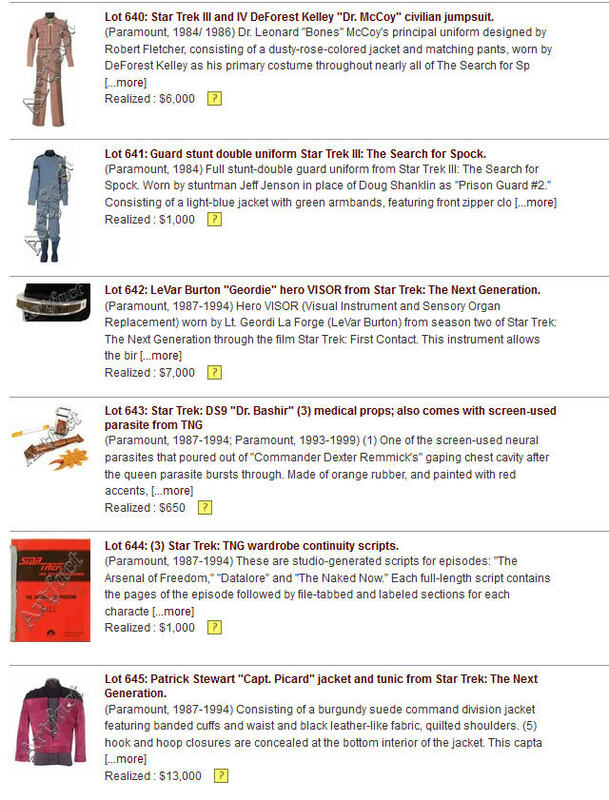 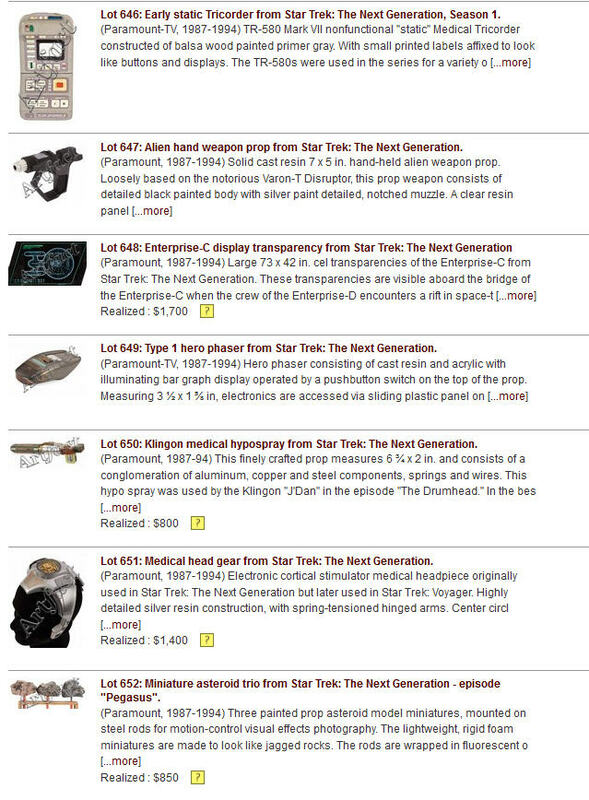 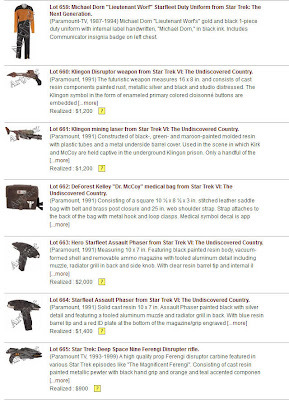 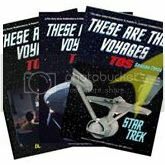 Presented below is the complete set of final prices realized for the 64 lots of Star Trek memorabilia that were offered in Profiles In History's Drama, Action, Romance: The Hollywood Auction; which concluded earlier this afternoon in a live online bidding session at Artfact.com. 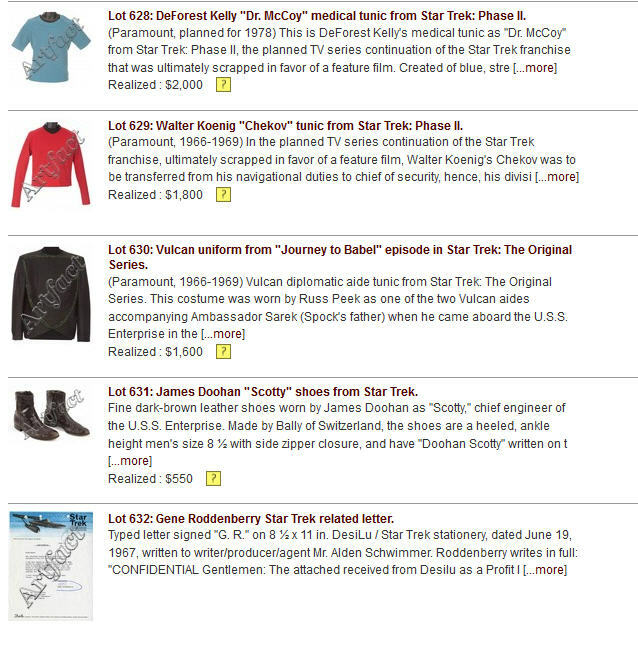 The highlights of the event include a TOS 2nd season Leonard Nimoy worn Spock tunic with full braid and patch which drew a high bid of $95,000; a Nimoy Spock Class A uniform from Star Trek: TMP which realized $20,000; a Patrick Stewart Capt. 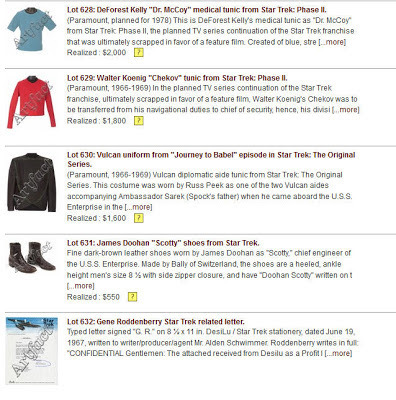 Picard jacket from TNG that sold for $13,000; William Shatner's personal annotated and signed script from his first appearance as Capt. 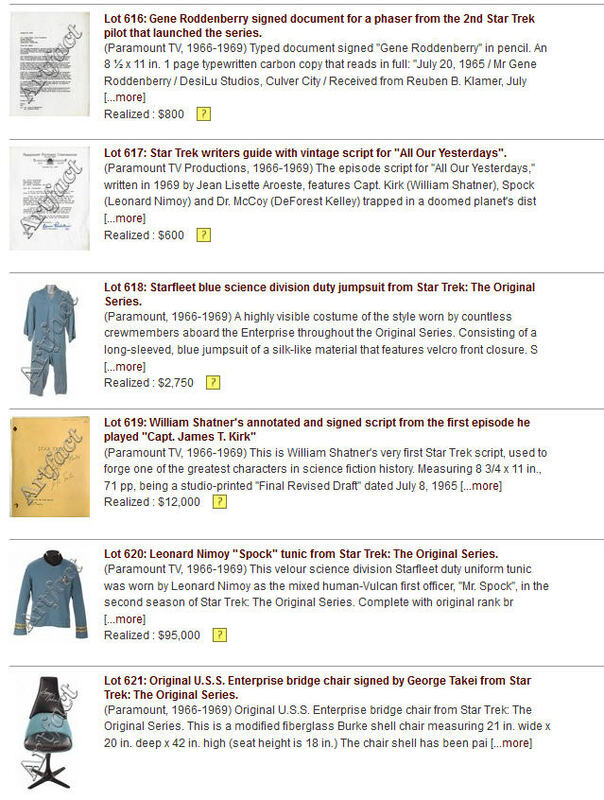 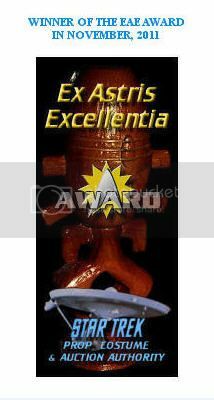 James T. Kirk that witnessed a high bid of $12,000; and a LeVar Burton Geordie hero VISOR from TNG that sold for $7,000.